It’s December! Which means it is now definitely acceptable to start the Christmas posts – and what better way to start than Christmas Cookies! Now closer to the time i’ll be prepared to spend an entire day devoted to baking perfect cookies and creating some icing masterpiece on them, but for now i’ve chosen the easy option; another set from The Baking Tree (I also used one of their sets to make the Halloween Cake Pops) – OK, they are essentially cooking kits for children, so this should be pretty fool proof – right?! Following the instructions in the kit, mix the ingredients in a large bowl with your hands, and then roll in to a ball and wrap in cling film. Cool it in the fridge for about an hour. 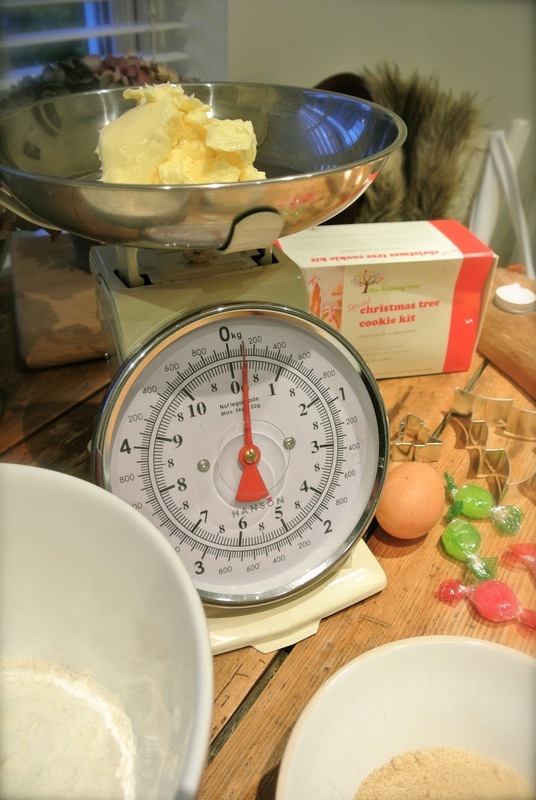 While it’s cooling, crush up boiled sweets using a Pestle and Mortar (or a rolling pin if you don’t have a Pestle and Mortar) – these sweeties came with the kit, but you could use any boiled sweets, even glacier mints! 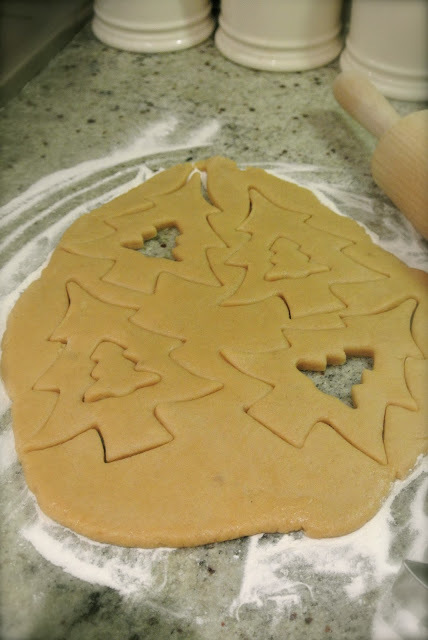 After the mixture has chilled, roll it out and cut out christmas trees, re-rolling the smaller trees and the left-overs so that you can make more trees. I managed to make 12 from the mixture. Cook the cookies for five minutes so that they harden slightly, and then sprinkle the broken up sweets into the centre. 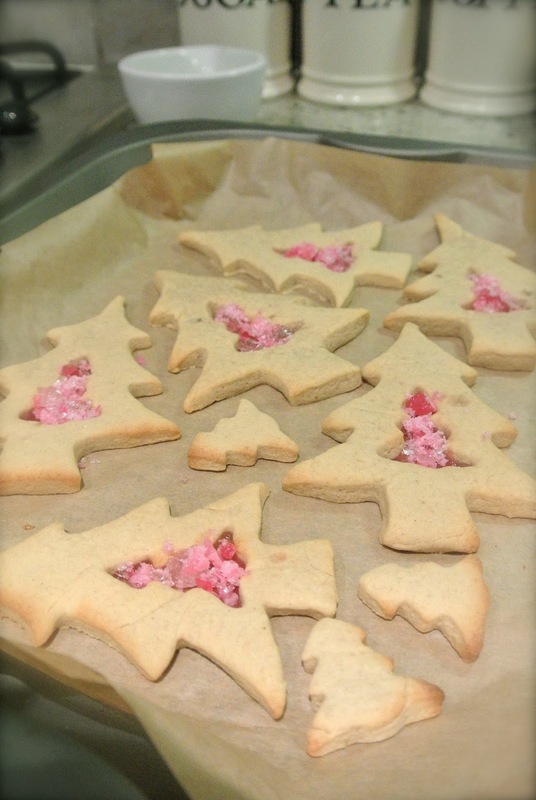 You can use a knife to spread the sweet pieces out after they have been in the oven for a few minutes – but be quick! The sweets melt really quickly! Cook for the remaining time, then remove from the oven and allow to cool. 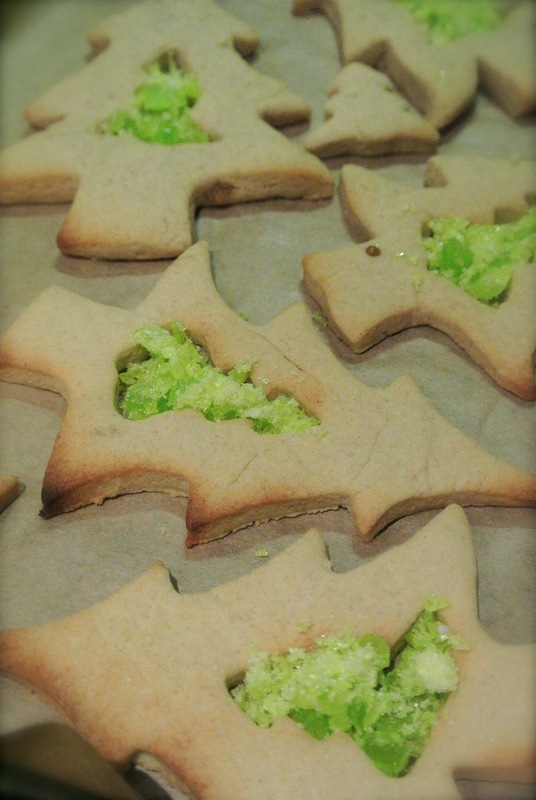 If you want to hang your cookies from the tree, pierce the top straight after they have come out of the oven. You can decorate them with icing and baubles, or leave them plain. The kit comes with ribbon for you to hang the cookies from a Christmas tree, but I couldn’t bear the temptation!! Enjoy!